Submitted by slowdive on 2018-08-26 20:41. 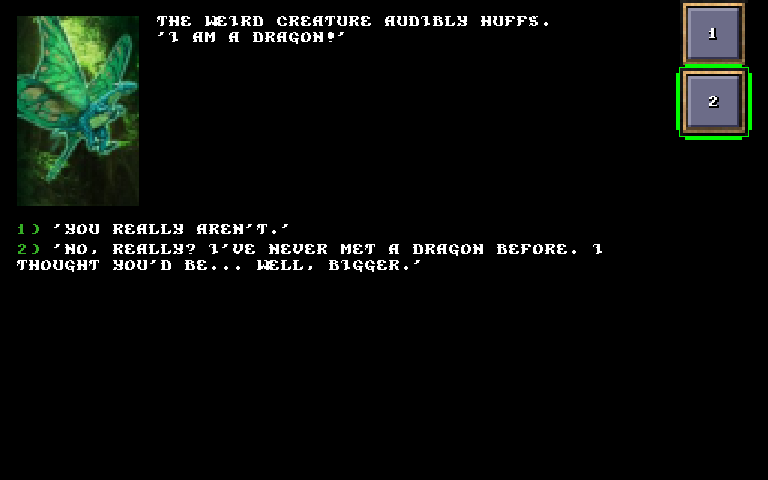 Story and Turn-based role playing game (RPG) engine and toolseet implementing a classic old-school computer RPG style. -I fixed a bug that was not allowing players to use custom made player tokens in game from the ones they made in the art editor. -Added more properties to the module editor that can be edited (useRationSystem, StartingWorldTime, defaultPlayerList). -Added a button on the splash screen called "SUBMIT A MODULE" (only works in Android for now). This will allow you to select a "packed" module to submit to the iceblinkengine email. It will launch your email app of choice and allow you to edit the email before sending. For PC users, just select "Pack a Module" from the splash screen and then email me the created ".ibb" file (packed file) to have it added to the downloads list. -Added a review and endorsement system to the module loading screen. -fixed import campaign party to move any existing party characters down to the reserve list. -started converting all default artwork to a common pixel size base and common 30 color palette (builders can still use old art or their own art by placing any art in their module's 'graphics' folder. -art editor now uses an image list instead of a text list to open existing art for editing...much easier to find what you are looking for. -added a 'swap color' feature to the art editor for switching out all pixels with a certain color with a different color. 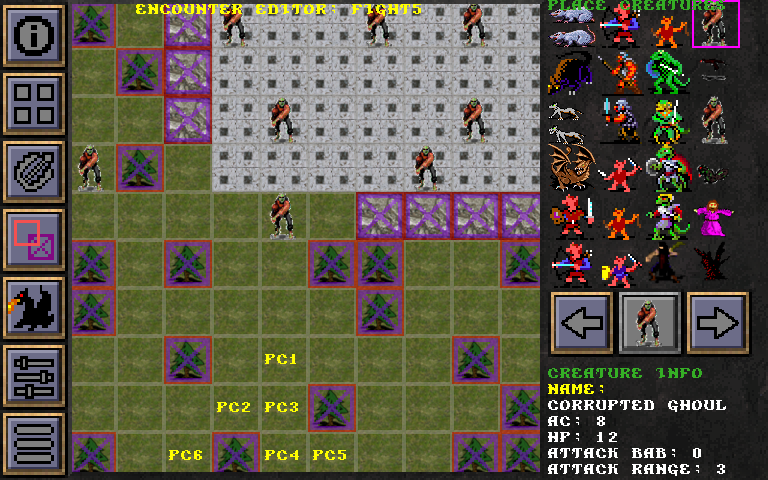 -added a feature for player's to edit/create their own custom player character tokens using the art editor. 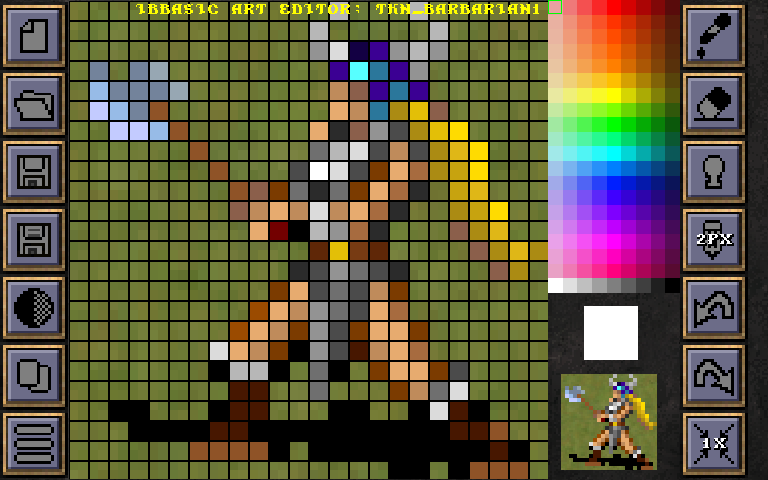 Just select 'Player Token" from the art editor 'open image' list. The created tokens will be placed in the 'user' folder and can be used in any module they play. 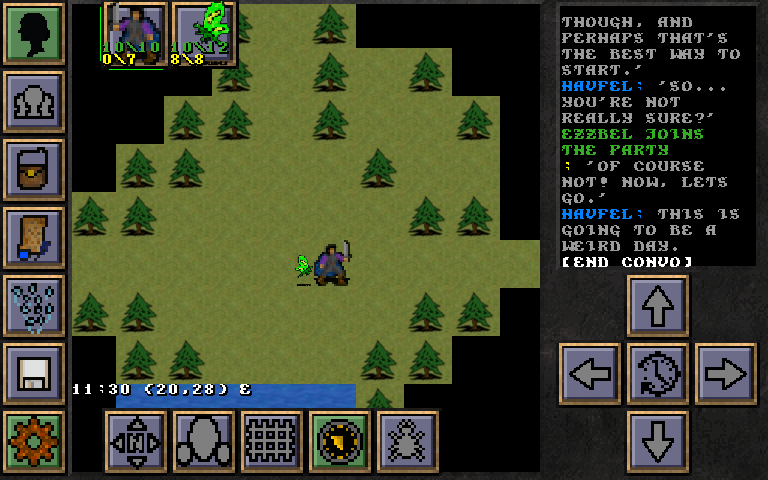 -added tooltips to the main map screen and combat screen. just tap the "?" button to turn it ON and then tap on any button to see a tooltip with information about what the button is for. Remember to tap on the "?" button again to turn OFF the tooltip mode. -added a button on the splash screen to take you to the IBbasic Commenting Web Page (more a chat log type of system) so that you can drop us a quick message or feedback and read what others are posting as well. -included two folder in zip file that contain the old graphics for those wanting to use them in their modules. Just copy the needed images into your module's "graphics" folder and you are all set. 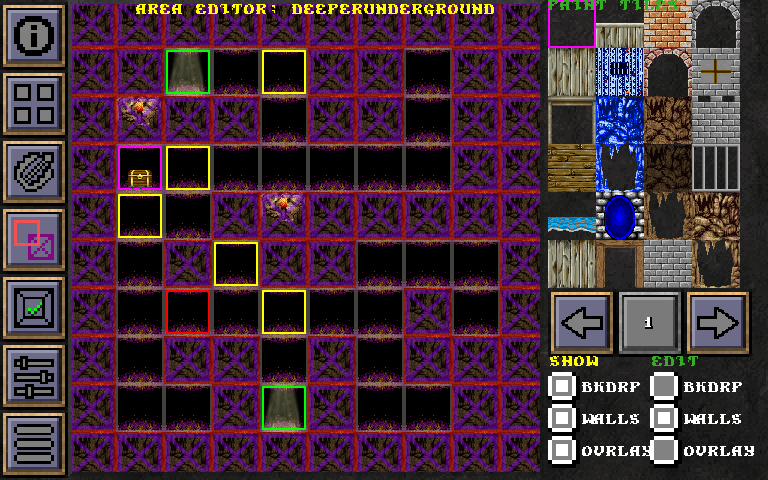 -adjusted UI layout scaling to work better on smaller screens. -added panning feature to area editor on info tab. 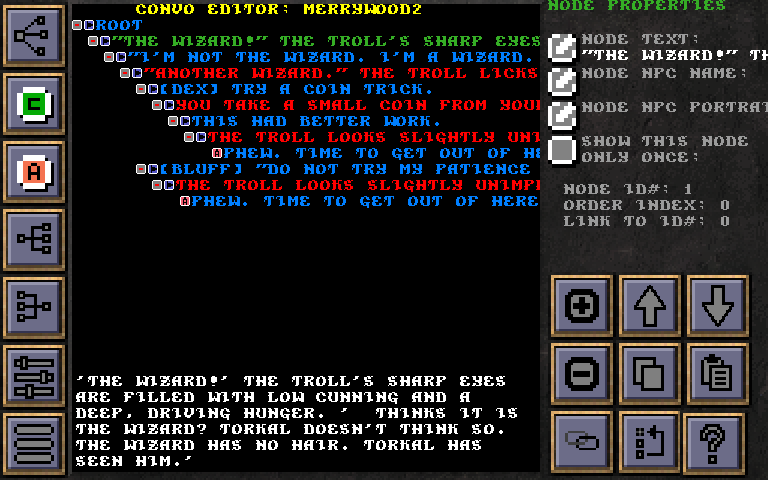 -fixed scrolling in conversation editor. Do you have a great story idea that you have wanted to get out of your head and into a cRPG? This may be the project that helps you share that story. Now you can play, create and share your own IceBlink Basic (IBbasic) adventures! 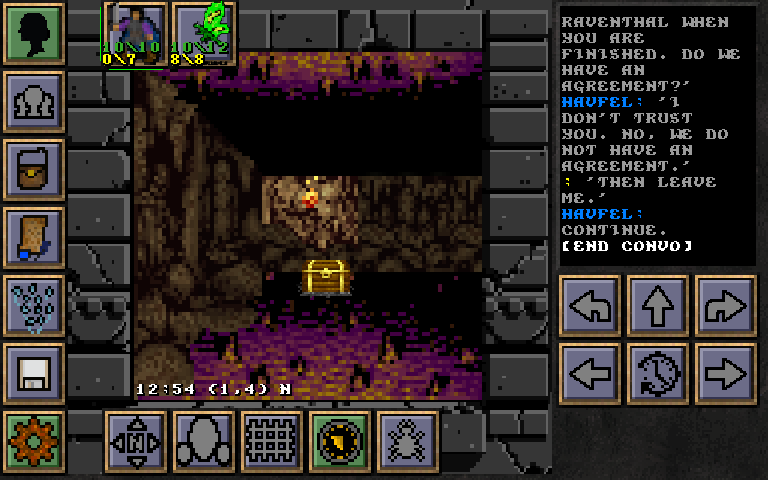 This app will allow you to play any IBbasic adventure that you or others create. This app is the exact same as the Android and iOS versions of IBbasic and save game files can be passed back and forth between them. You can create an IBbasic adventure from this app as well. 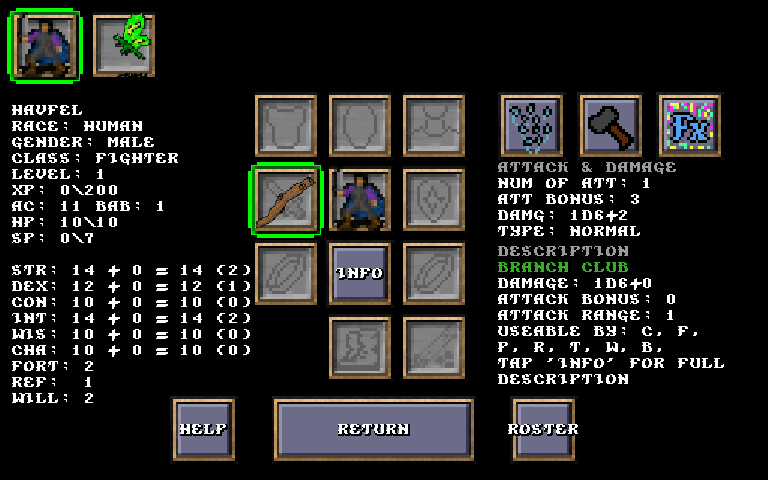 The built in toolset will create all the files needed by this IceBlink Basic RPG app to play your creation (your created adventure modules also work for the Android and iOS version of the IBbasic engine). - great RPG story telling conversation system. 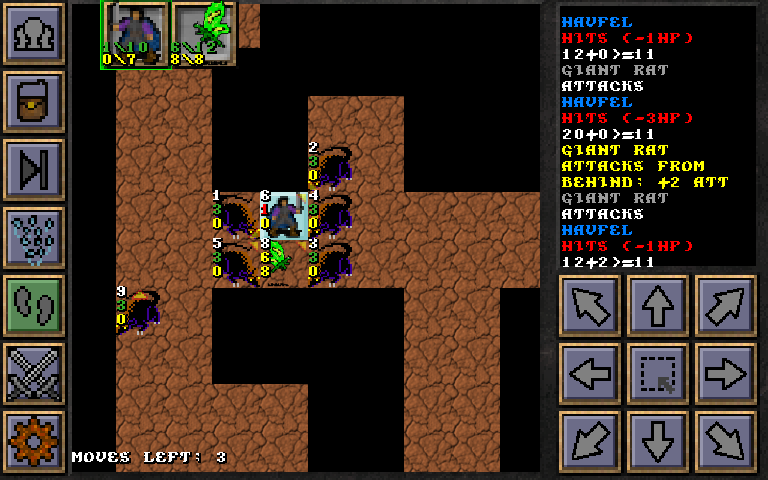 - single player RPG (you control all party members) game. EDIT: Ignore this. I didn't realize this Vault hosted other non-NWN projects. This looks like spam. While it might be cool in it's own right, it has nothing to do with NWN. @Clobber this has been on this site since the earliest times. It is not spam. If you open the Projects menu item at the top of the page you will see that IceBlink is one of the games you can select.